Many People and Companies are just getting to grips with the importance of managing their online reputations, through an ever growing forrest of social media and cross platform sharing. Some have already experienced the potential negative effects either personally or in business. A negative campaign against you or your business can have a detrimental effect leading to a loss of trust confidence and finances. 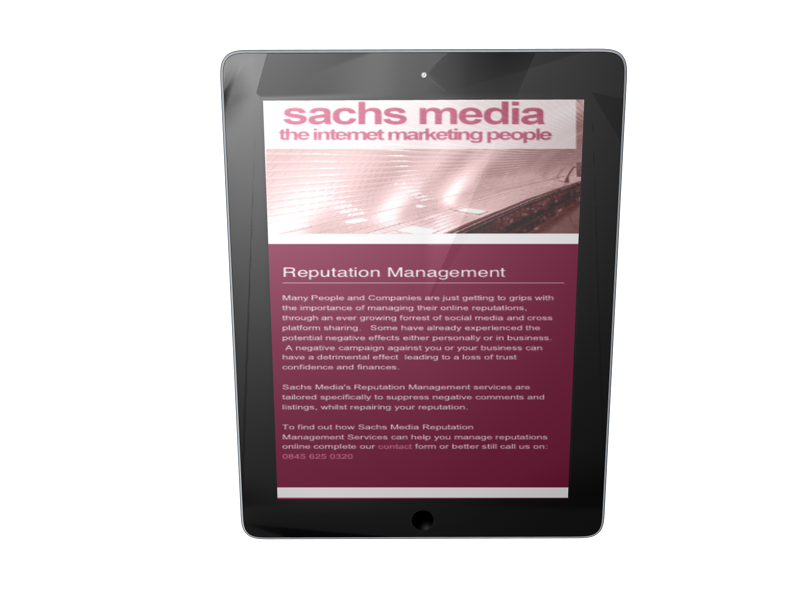 Sachs Media's Reputation Management services are tailored specifically to suppress negative comments and listings, whilst repairing your reputation. To find out how Sachs Media Reputation Management Services can help you manage reputations online complete our contact form.